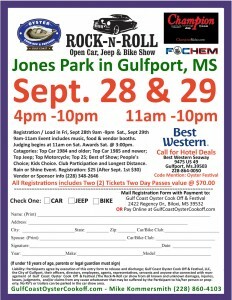 Join the fun and register for the Rock-N-Roll Open Car, Jeep & Bike Show, presented by; FoChem Car Club that features Ford, Chevrolet & Dodge – Mopar along with Jeeps & Motorcycles & Champion. You will receive Two (2) tickets – Two day passes valued @ $70.00 with your registration. Need a place to stay? 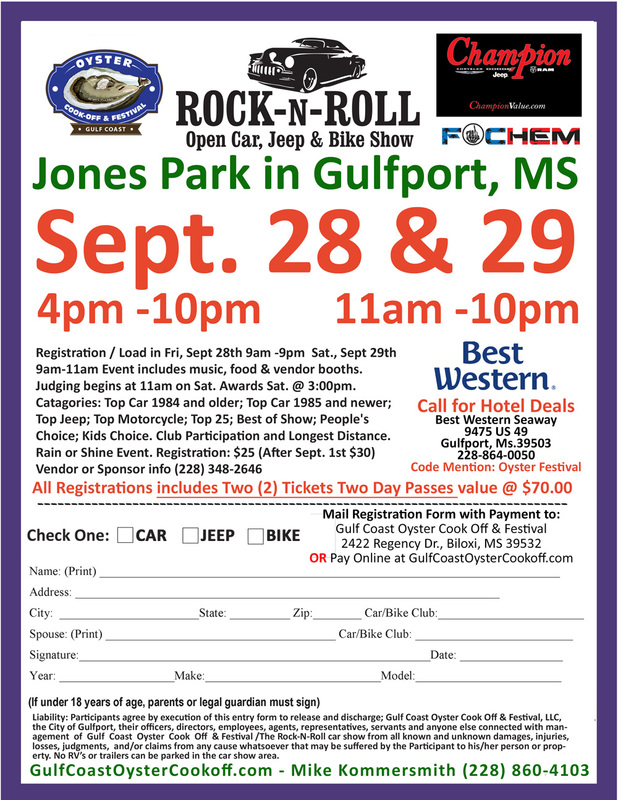 Call our host hotel; Best Western Seaway @ (228) 864-0050 and mention code: Oyster Festival to receive your discount!